Harmonic (NASDAQ: HLIT), the worldwide leader in video delivery infrastructure, today announced that North Indian cable operator Supersonic Networks has installed a complete Harmonic solution to become one of the first cable operators in the region to offer digital TV services. Supersonic's new digital video headend includes Harmonic ProStream 1000 with ACE transcoding, Ion encoding, NMX(TM) Digital Service Manager, and NSG 9000 universal edgeQAM systems. 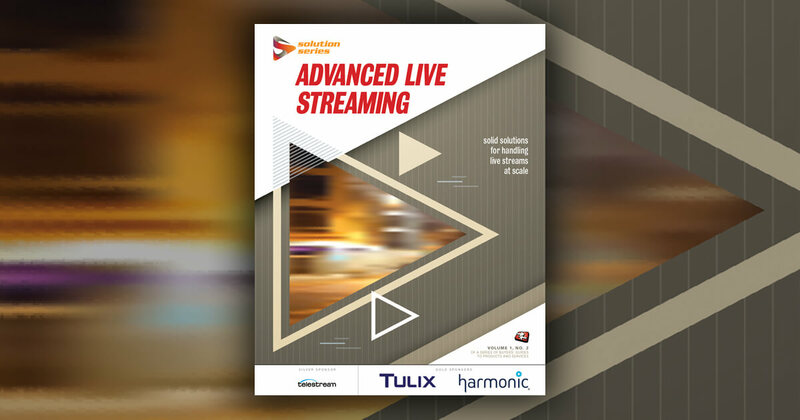 Utilizing Harmonic's highly scalable video infrastructure and edge processing solution, Supersonic Networks can cost-effectively provide subscribers with access to superior-quality video content as well as an increased channel lineup. "To meet the 2014 government-mandated migration to digital television services, we required a bandwidth-efficient solution that provides the reliability and video quality essential for improving our subscribers' quality of experience," said Rajeev Gupta, president at Supersonic Networks. "Harmonic's video and edge processing systems offer unmatched density and scalability that reduce our capital and operating expenses while enabling the delivery of excellent video quality." The ProStream 1000 with ACE transcoding system performs SD/HD, MPEG-2 video and audio transcoding of up to 20 HD and 80 SD channels, as well as ASI to IP multiplexing, and scrambling from a single 1-RU chassis, optimizing bandwidth allocation for Supersonic Network's new digital TV services. After completing a full decode and encode, ProStream 1000 with ACE seamlessly adapts to any bit rate without compromising the video quality. With its high-density design, ProStream decreases capital and operating expenses through reduced power consumption and rack space, allowing Supersonic Networks to deliver a high quality of service cost-effectively while expanding its channel offerings. The transcoding system's scalable architecture will support Supersonic Networks in the future, as it continues to add digital television channels and value-added content like HD video-on-demand and multiscreen services. "One of our goals in migrating to a digital television service offering was to find a high-performance video infrastructure solution that would deliver a substantial return on investment," said Arun Aggarwal, CEO at Supersonic Networks. "Harmonic offers the total package, allowing us to support a variety of services and applications from a versatile, unified solution." Harmonic's Ion multichannel MPEG-2 encoders perform constant bit rate encoding for 200 of Supersonic Networks' SDTV channels. Ion incorporates up to four high-quality encoders in a single rack unit, providing an economical and space-efficient solution for the delivery of baseband feeds. At the edge of the network, Harmonic's NSG 9000 edgeQAM cost-effectively multiplexes on-demand content streamed over the IP network, scaling up to 144 QAM RF outputs per compact unit. In addition to providing unparalleled output density and scalability, the NSG 9000 can simultaneously support a wide variety of applications and high-speed data, providing Supersonic Networks with the flexibility to launch additional services as it continues to grow. "Transitioning from an analog to a digital infrastructure can be a costly venture for any operator," said Gidi Raz, director of India sales at Harmonic. "Harmonic's video infrastructure and edge processing solutions ease the cable operator's transition to digital television by providing them with a high degree of scalability, density, and performance, enabling the delivery of a more compelling, high-quality service."